Much like the spy thrillers penned by former head of MI5 Stella Rimington, Italian author Gianrico Carofilgio brings a significant amount of authenticity to his crime novels. Carofiglio was an Italian senator but before that he was an anti-mafia prosecutor. He is best known for a crime series featuring lawyer Guido Guerrieri but in his new book The Cold Summer he comes even closer to home with a protagonist who is a police investigator and an investigation that takes place during an internal mafia war in the early 1990s. A war seems to have broken out in the Apulian mafia of the Bari area. Due to the codes of silence and honour the police are playing catch-up. But then a rumour gets around that the son of the mafia godfather Grimaldi has been kidnapped and everything heats up. The first third of the book deals with the police trying to get to the bottom of a kidnapping that no one will talk about and which has tragic results. The second third explores the mafia war in detail. One of the instigators of that war hands himself in to the police to prove he had nothing to do with the kidnapping and to protect himself and his family from a vengeful Grimaldi. This leaves the police with plenty of people to arrest but still with a crime to solve – who kidnapped Grimaldi’s son and why? At the same time, high profile killings of mafia investigators rock the world of the local police. The reader’s entry into and guide to this world is Marshal Pietro Fenoglio. Fenoglio is a down the line cop with a conscience. He thinks deeply about crime and criminals but does not let his philosophy ever get in the way of doing his job. There were criminals who were stupid, brutal, nasty and hateful. They were the way criminals ought to be in order to correspond to a simple, reasonable view of the world… But there were also – he had met lots of them – intelligent drug dealers, likeable robbers, murderers capable of unexpected and selfless gestures of humanity. They complicated things, made classifications less simple. He understands the cost of the job that he does, that he has become anaesthetised to the horrors because “if you don’t have a functioning system of defences, you’ll just go crazy”. Fenoglio is also hurting from a recent separation from his wife Serena, not in a clichéd bottle-hitting noir way but in with a deep longing for the connection that he has lost. But when he needs to step across a line or two to get the job done, he carefully considers his options and takes the steps that he feels are needed to obtain justice. The Cold Summer, with its lengthy sections of witness statement, can feel a little exposition heavy. For example, there is information about the various levels within the mafia and the arcane quasi-religious ceremonies that accompany changes in rank. But the information is so interesting, a glimpse into a hidden world, that it does not weigh the book down. And the breakouts from the days-long interrogation with Fenoglio and the prosecutor/judge Dotoressa D’Angelo or with his partner Pellecchia are warm and believable. 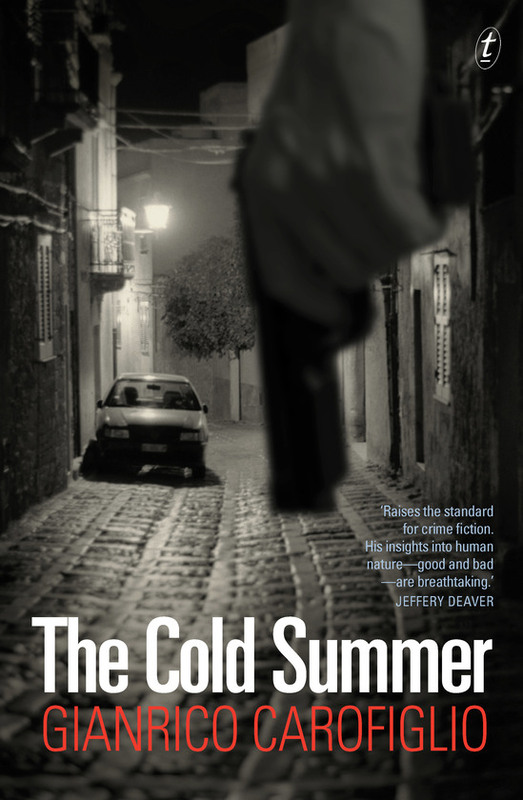 The Cold Summer is great crime fiction. Engagingly translated by Howard Curtis, it effectively illuminates a place and a time in which crime was rampant from the perspective of those charged with addressing that crime. But the narrative is driven by a murder mystery and a carefully observed procedural. While there is some corner cutting by the protagonist, there are no fireworks, shootouts or car chases, just solid police work. And underneath all of it a memorial to the tragic loss of two mafia investigators and a deep understanding of the scourge that they dedicated their lives to stamping out.